What happens when you get tired of shopping for clothing online? Well, that would mean that it is time to venture out into the real world. Must be time to shop at actual clothing stores. Yes, visit an actual real building rather than shop in your own little virtual reality. Most likely, you are already aware of your favorite local shopping destinations. However, it is important to keep in mind that fashion companies come in and out of business from time to time. The fashion landscape at the mall changes now and then. If you want to find out which stores are currently in your local mall, you may want to search through the clothing store directory. You can either do this when you arrive to the mall, or you can check their online directory. Fortunately, most of the malls are owned by large real estate companies. Many of which are REITS (Real Estate Investment Trusts). These companies often have directories of the stores that are within their particular mall. Below are a few examples of clothing store directories that can be reviewed at some of the leading malls in the United States. Find additional clothing stores at the clothing store directory section on Apparel Search. 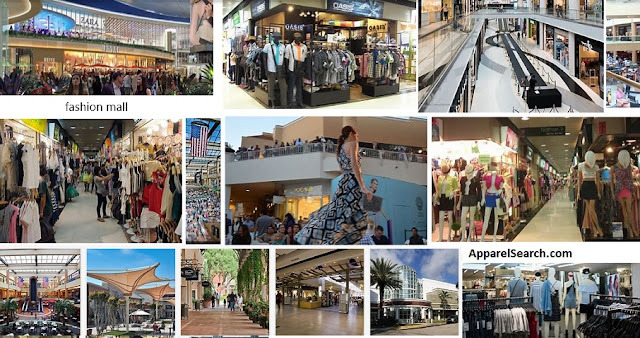 Do you know what a "mall" actually is? You may want to read the shopping mall definition. While you are at it, we would suggest that you also learn the difference between a mall and an outlet mall. Enjoy your shopping. We hope you find a great new wardrobe. By the way, some of the malls now have their own apps. Therefore, you may be able to check the clothing store directory from their app rather than search for their website. Thank you for taking the time to read this fashion blog post. We hope that you have found this fashion blog post to be enjoyable. If you have comments or questions, please add your thoughts in the discussion area below.